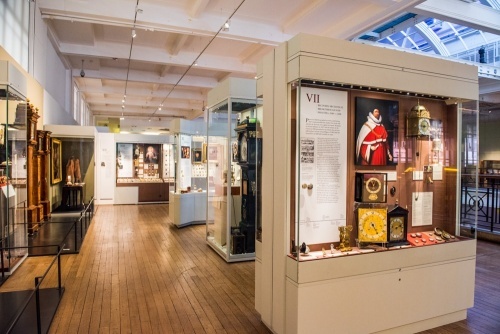 The Worshipful Company of Clockmakers runs this fascinating museum of time and timepieces as a charity. 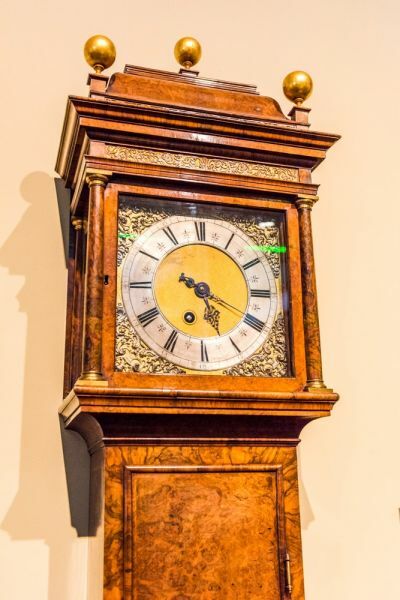 The museum tells the fascinating story of the "Clockmakers of London" through a priceless collection of clocks, watches, portraits, and tools. The Clockmakers' Company was founded by a royal charter of Charles I in 1631, making it the oldest horological organisation in the world. There are 110 livery companies in London, and the Clockmakers are 61st in order of precedence. 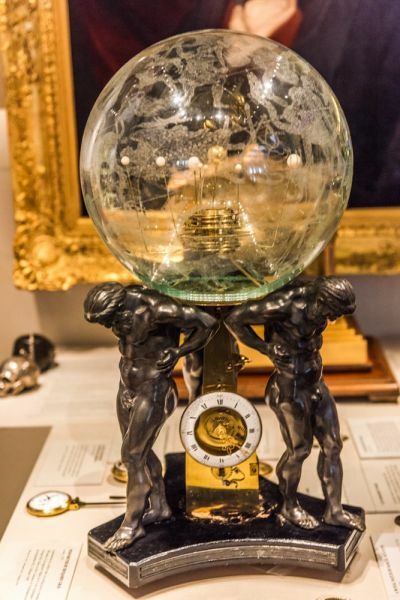 The museum is the oldest collection entirely focussed on clocks and watches anywhere in the world. 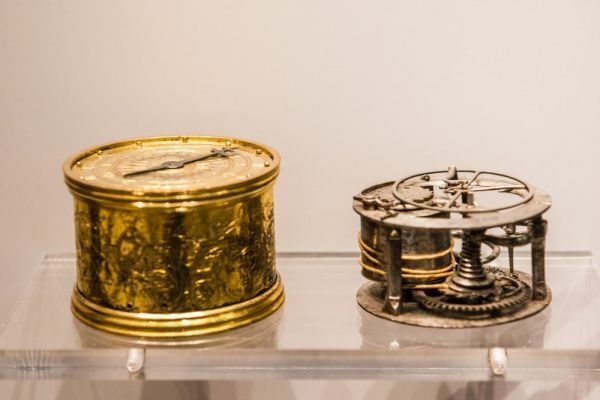 There are roughly 600 examples of historic watches, most from England and Europe, plus 30 clocks and a very important collection of 15 marine devices for keeping time as an aide to navigation. There are also historic portraits of clockmakers. Most of the museum collection dates from the early 17th century to the mid-Victorian period. What is interesting about the collection is that it holds items purchased for both their technical complexity but also their decorative beauty. 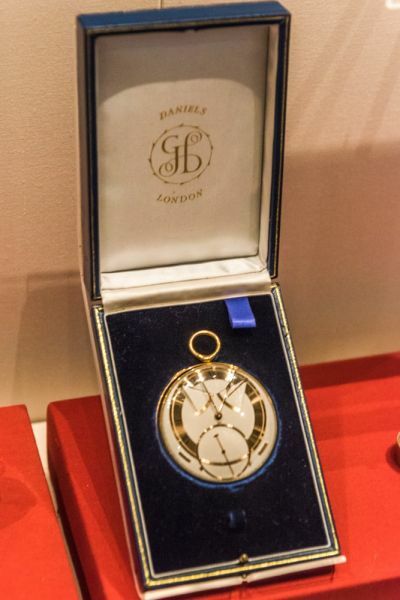 One of the prize exhibits is an early 17th century 'Nativity' watch designed by the Company's first president, David Ramsey, with a silver case in the shape of a six-pointed star. Another highlight is a chronometer designed by John Harrison of Lincolnshire. Harrison is known to history as 'the man who found longitude'. 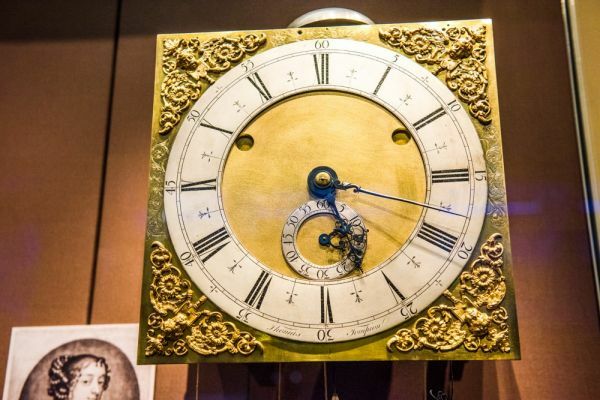 He designed 5 timepieces, known as H1 through H5 in an attempt to win a prize offered by the Admiralty for a clock which could keep accurate time at sea. 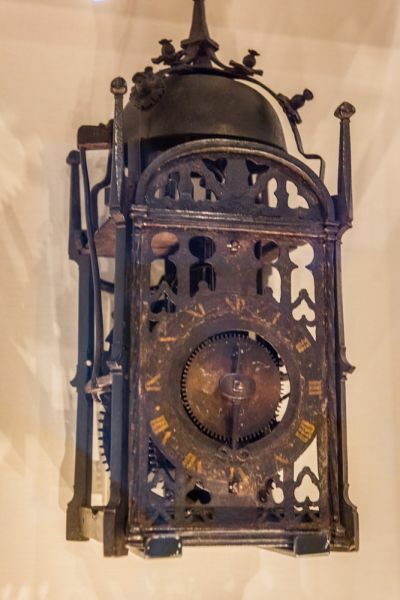 His fourth version won the prize, but to prove it was no fluke, the Admiralty required him to make another clock, known as H5. The first four clocks are held at the Royal Naval Observatory in Greenwich, but the 5th, H5, is here at the Clockmakers' Museum. The museum library was founded in 1813 as a collection of historic manuscripts acquired by the Company over the centuries. To the manuscripts were added books by and about famous clock and watchmakers and their craft. The library now holds many rare clockmakers' workbooks and design notes. 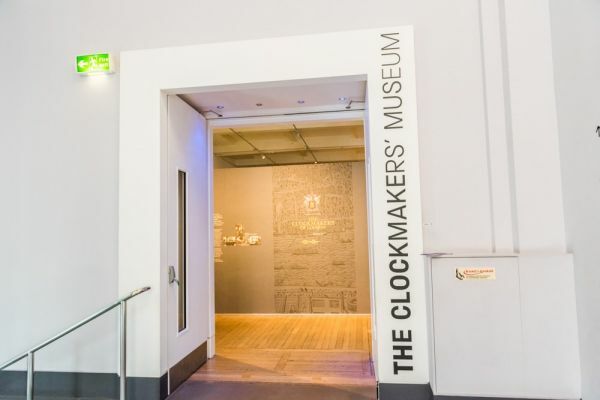 After many years on the London Guildhall site, the Clockmakers' Museum has relocated to a new home at the Science Museum in South Kensington. Location: Relocated to the second floor of the Science Museum in South Kensington. Free admission.